During our stay at Relais Alice, both Cinzia and Cosmo recommended that we stop at Ferrari on our way to Milan. It wasn’t on our itinerary, but they called their friends at Ferrari and printed us maps before sending us on our way. The drive through the Dolomites was stunning, with fog and low hanging clouds lingering between mountain peaks. 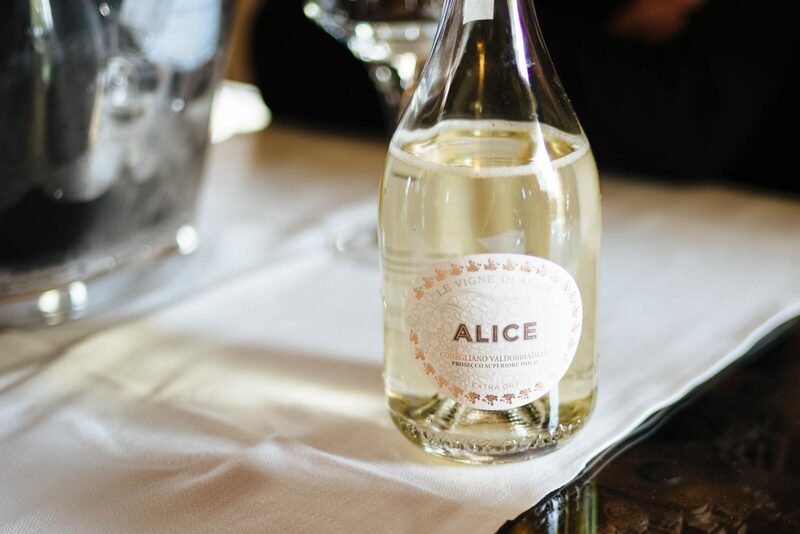 It’s only about two hours from Relais Alice to Cantine Ferrari. We took the same tour through the winery that is available to the general public before meeting with Camilla Lunelli, the PR and Communications director for Ferrari who explained more about the various wines and the history of the house. Giulio Ferrari began making sparkling wine in the Champagne method in Trento in 1902. Having no children, he left the winery to the Lunelli family, whose third generation continues to run the winery to this day. 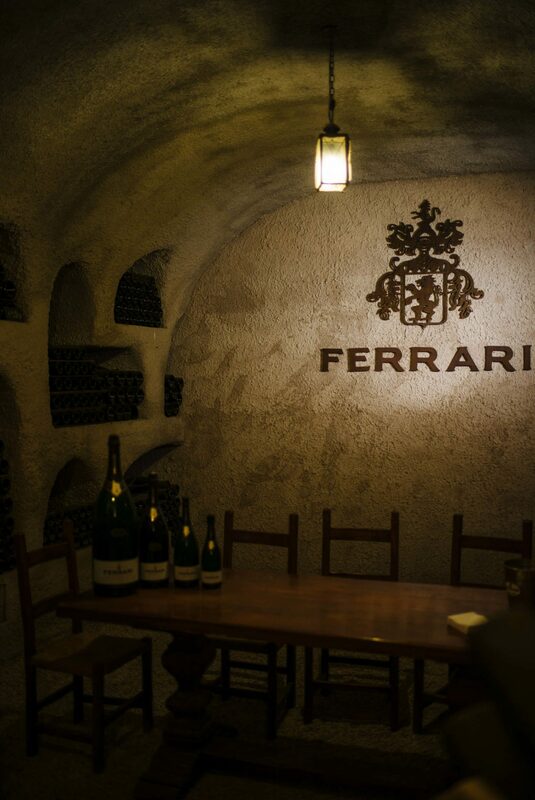 One of the comments we consistently heard from other winemakers was that, despite producing a huge amount of sparking wine each year, Ferrrari has maintained meticulous quality as their production expanded. 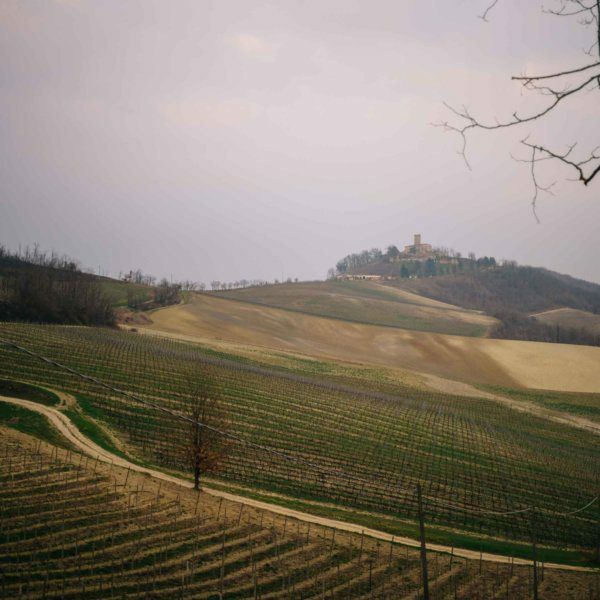 They are also widely known for supporting the Trento DOC winegrower community. The production is so large that they buy grapes from numerous smaller local vineyards. 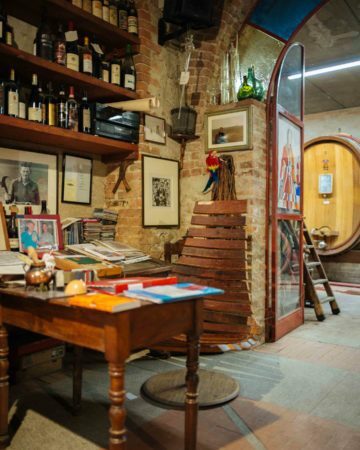 The Lunelli family also owns the historic Villa Margon, and a Michelin-starred restaurant, and the (delicious) bottled water brand Surgiva, which you’ll find in fine restaurants all over Italy. We can’t wait to go back to the beautiful Trento region and spend more time exploring. In the meantime, be sure to check out our video tour of the winery below. If you’re planning a trip to Italy but don’t have time to drive to Trento, you can also visit one of Ferrari’s tasting lounges in the Milan Malpensa and Linate airports, as well as the Rome Fiumicino airport. Thank you to Camilla Lunelli and the Ferrari team for hosting us for such a lovely visit. Had your lovely Ferrari in a restaurant in san francisco california but unable to find it in any retail store. Who is your distributor and how can i contact them. Or perhaps you can aim me in the right direction.